Do you enjoy painting, making decorations and getting creative? Join us with this exciting new project! BRMC will be decorating a bicycle into a beautiful and functional sculpture that will serve as a symbol for Ballarat’s celebrated free-wheeling creativity and community spirit. 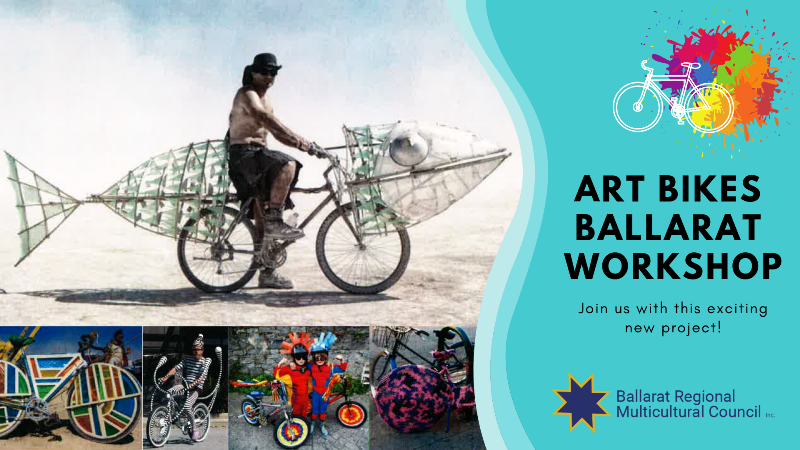 Art Bikes Ballarat will enliven the Ballarat CBD and surrounds in association with the 2019 FedUni National Road Championships cycling extravaganza hosted by the City of Ballarat from 4 – 8 January 2019. The bike will also be used for various community events during 2019 including the Begonia Festival.